Just a week ago, fuel was often a scarce commodity in the Karimunjawa islands, a national park located 80 kilometers off Central Java’s northern coastline. However, this has changed since the government’s one-price fuel policy was introduced to the area on Monday. Residents of the islands are now able to buy subsidized gasoline — locally known as Premium — for Rp 6,450 (48 US cents) per liter and subsidized diesel, known as Solar, for Rp 5,150 per liter. In the past, they frequently saw the price of the two fuels soar up to Rp 10,000 and Rp 8,000, respectively. 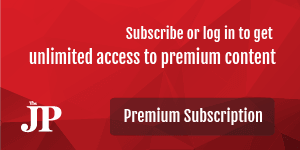 “The price of Premium is now exactly the same as that on Java. Even a long-abandoned gas station has begun operation again,” a Karimunjawa resident named Iwan Setiawan told The Jakarta Post on Monday. The islands, inhabited by 10,000 residents and attracting around 2,000 visitors every week, are one out of 148 locations targeted by President Joko “Jokowi” Widodo for the one-price policy, which will cost state-owned energy firm Pertamina Rp 800 billion in subsidies yearly. Pertamina spokesperson Wianda Pusponegoro said the firm had until the end of the year to lower fuel prices in 53 remote areas. So far, Pertamina has successfully implemented the new fuel prices in nine regencies, including the Karimunjawa islands in Jepara. The other eight regencies are Batu island, North Sumatra; Mentawai islands, West Sumatra; Raas island, East Java; Tanjung Pengaus, West Nusa Tenggara (NTB); Waingapu, East Nusa Tenggara (NTT); Wangi-wangi in Wakatobi, Southeast Sulawesi; Moswaren, West Papua; and Long Apari in East Kalimantan. “It has to be completely implemented by the end of 2017. In the case of funds, most of the money will come from our business partners as [the program] only requires constructing mini gas stations or gas stations with one to two dispensers,” she told the Post on Monday. Pertamina remains optimistic about fulfilling the task assigned as it plans to cross-subsidize from sales of non-subsidized fuels, which have been experiencing growing popularity as of late. This year, it has been assigned to distribute 610,000 kiloliters of kerosene, 15.7 million kiloliters of diesel and 12.5 million kiloliters of Premium gasoline across the country. As part of Pertamina’s efforts, it has set a target to construct 22 mini gas stations at 22 locations in 14 provinces by the end of this year. It will need approximately Rp 1 billion to construct each gas station. Furthermore, the company will also establish institutions for distribution in remote areas in 45 locations next year. Locals are hopeful that the government’s one-price fuel policy will not be just another empty promise. “Hopefully, the times of expensive fuel are truly over,” Paulus Lang, a resident of the Tiong Bu’u village in Long Apari, said. Gasoline and diesel prices in Long Apari, located 850 kilometers away from Balikpapan in East Kalimantan, have been cut down from Rp 15,000 and Rp 13,000 per liter respectively. 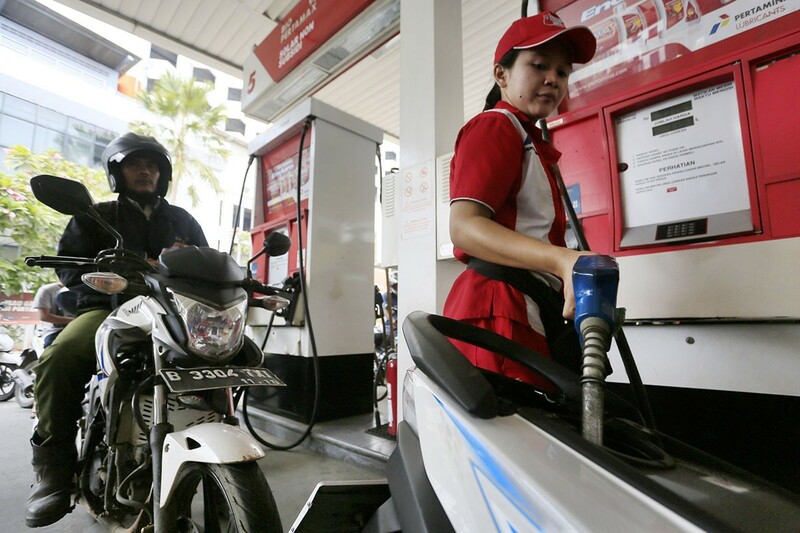 However, before the price cuts, fuel could reach Rp 60,000 when distribution issues occurred. The slashed prices have resulted in consumption growth to 160,000 liters per month for gasoline from 140,000 liters. Most of the gasoline consumed is used for outboard motors on boats. Residents also hope that the lower prices will lead to lower transportation costs. Agnes Bulan, a high school student, said that it costs Rp 900,000 to take a nine-hour trip by speed boat to Ujoh Bilang, a village located 104 kilometers away from Long Apari. Despite the government’s and citizen’s enthusiasm for the new one-price policy, experts remain doubtful over the success of the program. “Realistically it would take 18 to 24 months because there are geographical factors to consider, which could involve high costs,” Executive director of the Institute for Essential Services (IESR), Fabby Tumiwa told the Post. He noted that one of Pertamina’s biggest obstacles would be in the delivery and construction of distribution lines due to the fact that the targeted locations are mostly remote areas. “This will not be easy because Pertamina will need to construct storage depots, fuel pumps and other necessary equipment, which takes a lot of time,” he said.